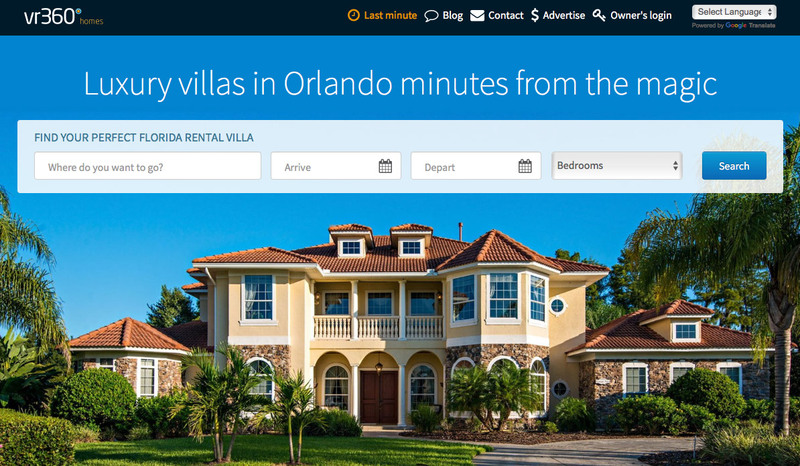 If you book a Orlando Vacation Rentals via VR360homes.com there are No Service Fees added by VR360. Unlike a number of larger vacation rental sites that are now adding a 6-10% Service fee to every booking we won't be doing this. We also don't charge our owners a commission per booking which again is normally 8-10% of the total rental amount all of which is normally added to the rates. By booking direct with the owners and agents on VR360homes.com you are going to save around 10-15% against booking on another site. This could be anything from $100-$300 or more, that's 3 days at an Orlando theme park! See the screen shot below from another vacation rental website, the house was advertised as $110 per night but once you start adding on the cleaning fee, taxes and service fee it doesn't looks so good. Most owners on VR360homes.com will give you a total price that includes the cleaning fee and taxes but No Service Fee! Also most of our owners don't charge extra for the clean if the stay is 7 nights or more. We think this makes it a lot clearer and easier to understand. Using the example below you would be able to book this home on VR360 for atleast $177 less, that's nearly 17% cheaper!! Why spend more on your Orlando vacation rental than you need too. Most of the owners / agents that advertise on VR360homes.com have been with us for a number of years. This is stated on every listing so you can see exactly when they joined. We have also personally visited about 90% of the homes advertised with us so know they are there. We also check the Florida DBPR to make sure the owners licence is up to date. We also check the property appraisers websites for each county to make sure the person advertising the rental is the owner and there taxes are up to date. We do as much as we can to make sure all checks are done and the home is as advertised. There are also lots of reviews on most of the Orlando vacation rental listings from previous guests. We recommend that you take out an annual travel insurance policy before you book, that covers private rental accommodation, should you need to cancel your holiday for any reason. When booking your Orlando villa please feel free to contact the owners via email first but then via phone to ask any questions and get to know the person you are booking with. All our owners have spent lots of time in Orlando and the surrounding area so can offer lots of advice and tips to make your vacation even better. They could probably even save you money on local restaurants if you know the right times to go! As our Orlando vacation rental site continues to grow we will keep adding more ways to showcase these fantastic homes. Please Like our Facebook page and subscribe to our Youtube channel to keep up to date with all our Orlando videos and tips. Hi we are looking through this website to book a villa on Emerald Island for next year. Do the owners offer property insurance instead of refundable breakage deposit like some sites do? Hi Ann, some take a security deposit which covers damage and others offers an insurance policy sometimes called a Property Protection Policy.